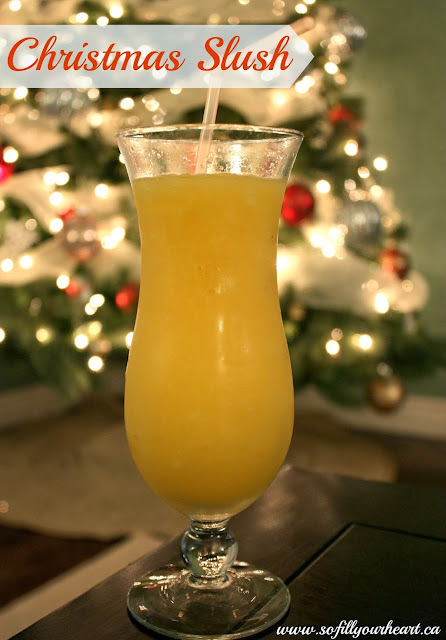 My first thought when I think of Christmas is getting my hands on this delicious drink. Go ahead and judge me, but I can guarantee you that if you ever make it, this will be your first thought too, and probably not just for Christmas, but for the next 364 days of the year. Where I come from, slush is huge. No matter who you visit over the holidays, as soon as you step foot in someones house, without even having your jacket off, you are going to be asked, "would you like a glass of slush?". And, by the way, your answer should always be yes. My parents have made this every December for as long as I can remember, and with six people usually in my house over the holidays, this poor drink doesn't stand a chance. Last year we ran out a few days after Christmas day and I think at that point we were all ready to trade in every last one of our gifts for more of the "good" stuff. This year, since my family and I are spending Christmas at my sister's in Toronto (don't worry, my sister is making room in her freezer as we speak at this very moment), me and Todd decided to make it ourselves for the weeks leading up to Christmas. And now since I know just how easy it is to make, I'm going to be sure to tell my dad that, for future references, there should be no more excuses of ever running out. 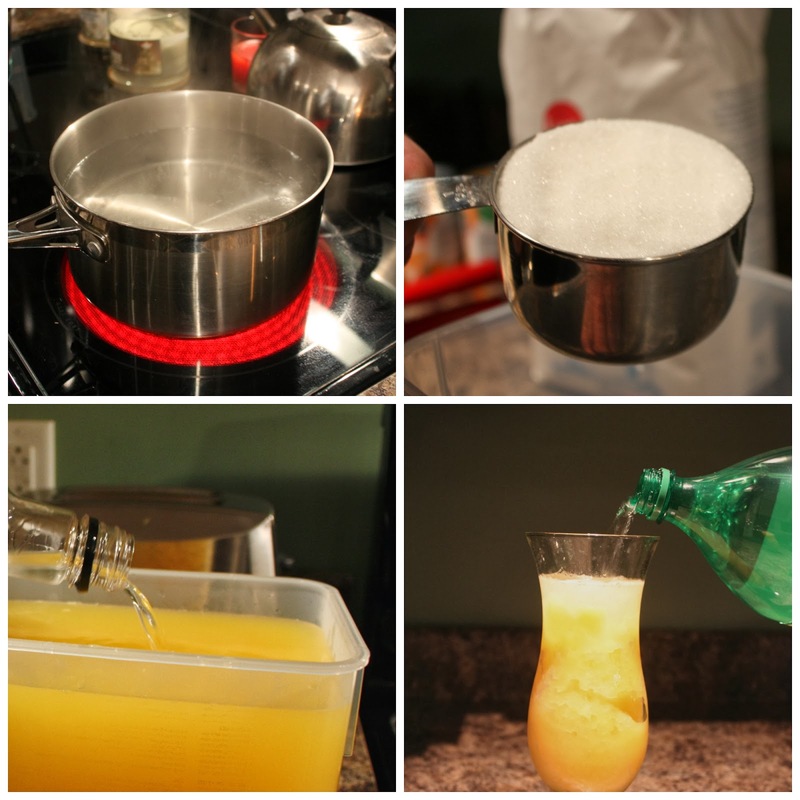 -Once frozen, fill your glass about half or three quarters full with slush (depending on how strong) and the remainder with 7UP. I have no idea why we save this drink for the holidays because, in my opinion, it's also perfect for a hot summer day. Okay, so I think it's time to go now before someone decides to march me right into the next local AA meeting. In my defense, I would love this drink almost as much without the alcohol.